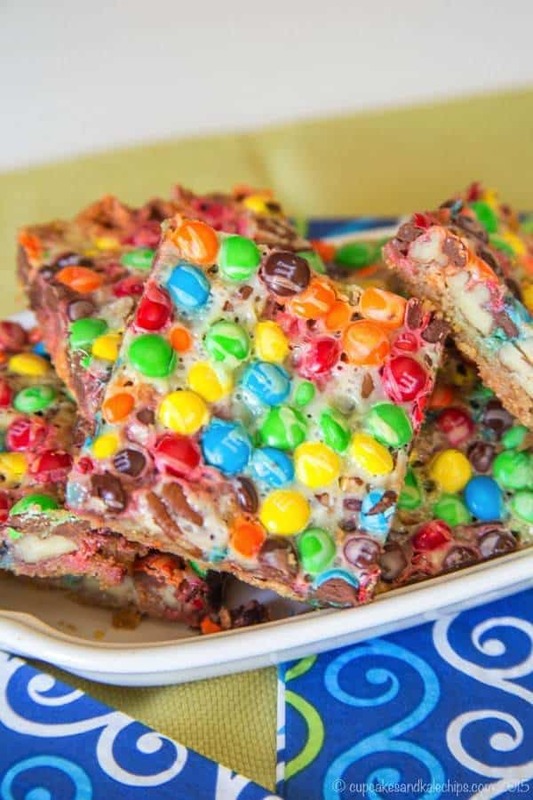 Magic bars with M&M's and toasted pecans in a gooey layer atop a buttery graham cracker crust - this is the best magic bars recipe you'll ever taste! Magic bars with M&M’s and toasted pecans in a gooey layer atop a buttery graham cracker crust – this is the best magic bars recipe you’ll ever taste! Come on in, the water’s fine! Today is the #SundaySupper Pool Party! 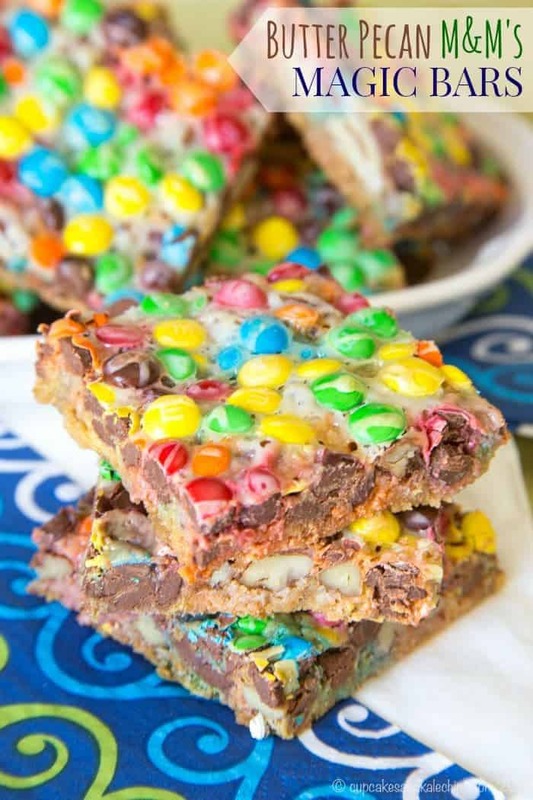 Everyone will be jumping out of the pool to grab one of these Butter Pecan M&M’s Magic Bars. When I was little, one of my mom’s good friends had a big picnic in her yard every summer. I know we are talking abut pool parties today, but honestly, I’m not even sure she had a pool. But for some reason, this annal picnic is memory than stands out in my head of summertime gatherings. My parents were divorced by this time, and another of my mom’s friends who also went had a husband who was in the Coast Guard and was often away on duty. She had a daughter who was a bit younger the me, but we always enjoyed playing together, so we would go to this party together. I don’t have vivid memories of these parties, but I do remember lots of dancing and singing and lots of adults being entertained by to (adorable, if I do say so myself) little girls. Apparently we were so entertaining that we earned the name “The Flora Dora Girls” or something like that. I have no idea what this meant, but that is how our “act” was introduced, whatever the heck our “act” was. I suppose none of that matter, since we always had fun. The other thing I remember was my mom bringing a couple of plates of Magic Bars, although she always called them Morsel Squares. Other people call them Seven Layer Bars, but hers never had seven layers? Why? Because I was a picky kid and she was (and is) and awesome mom? Pecans or walnuts or any other kind of nut in them? No way, because I would gag if I detected any little remnant of nuts. Coconut? Never, because I hated coconut. Now my mom loved both of those things, and yet she always made her Morsel Squares with just graham cracker crust, chocolate chips (aka morsels), and lots of sweetened condensed milk. If she really wanted the coconut for herself, she would put it on half of the pan, but she always made sure that there were enough that were completely free of any coconut contamination. 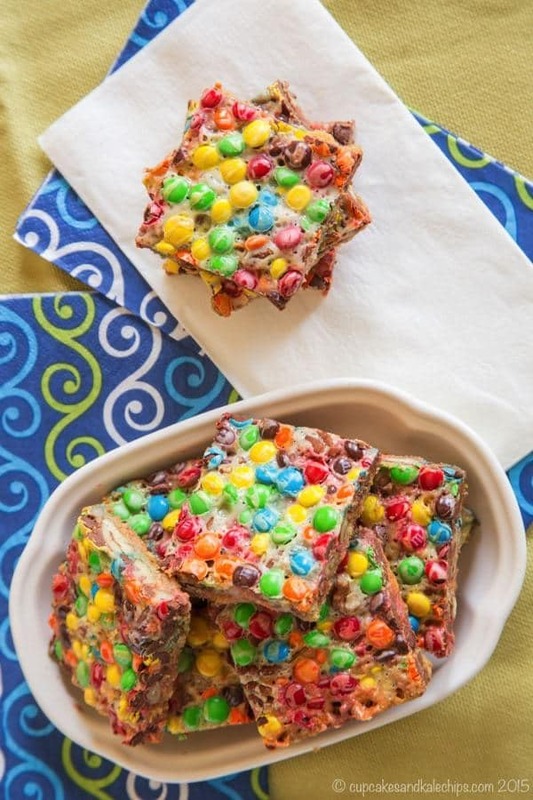 This Butter Pecan M&M’s Magic Bars recipe is inspired by her favorites – her favorite ice cream is butter pecan and her favorite candy is M&M’s. What are the layers of this magic bars recipe? 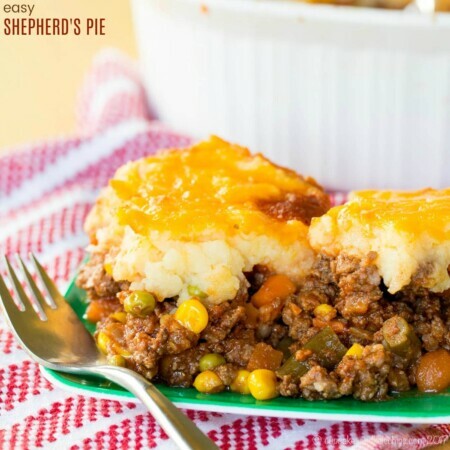 It a perfect sweet and salty, buttery rich combo that everyone will be ready to devour. 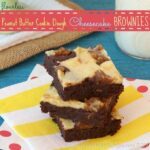 I’m telling you, if you need an easy dessert to feed a crowd but are tired of the same old, same old, you have to make these! 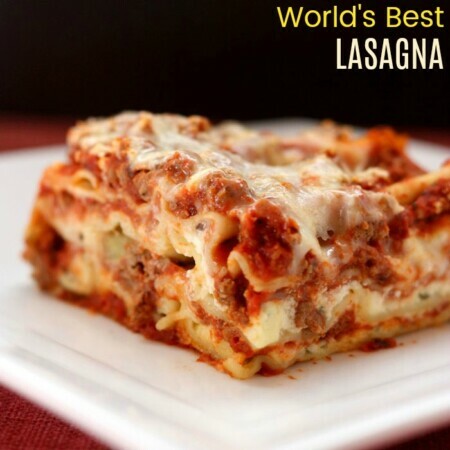 Even better, only five main ingredients! How awesome is that! 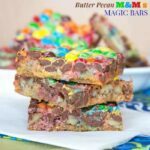 So go whip up a batch of this magic bars recipe, and then check all of the other #SundaySupper recipes to bring to your next pool party at the bottom of this post! What was your favorite sweet treat your mom made when you were a kid? 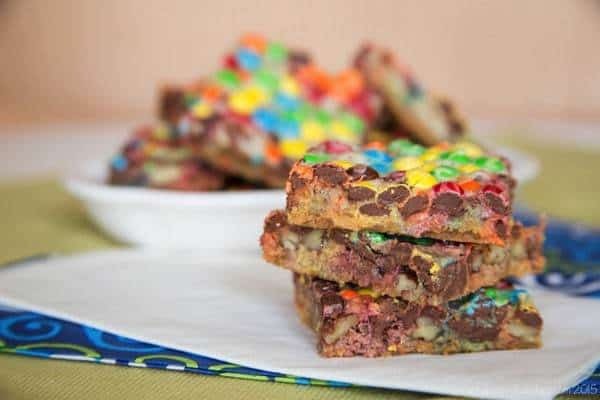 Tell me what you think of this M&M’s Magic Bars recipe! Melt 2 Tablespoons butter in pan, add pecans and salt. Toast for 2-3 minutes. Set aside. Preheat your oven 350°F. Line a 13 x 9-inch baking pan with foil, letting it hang over the edges, and spray with non-stick cooking spray. Melt the remaining 1/2 cup butter and combine in a bowl with the graham cracker crumbs. 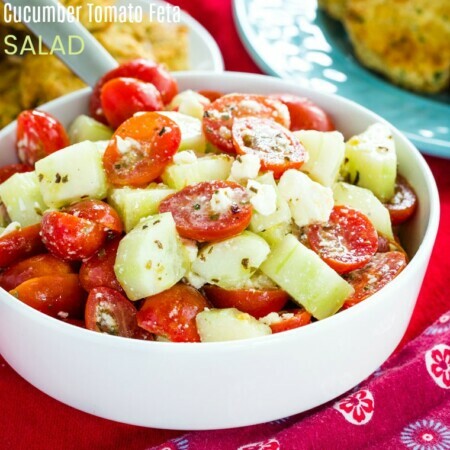 Toss together with a fork until fully moistened and transfer to the prepared pan. Press down firmly, using the bottom of a glass or measuring cup to make sure it is packed down well. Pour about two-thirds of the sweetened condensed milk evenly over crumb mixture. 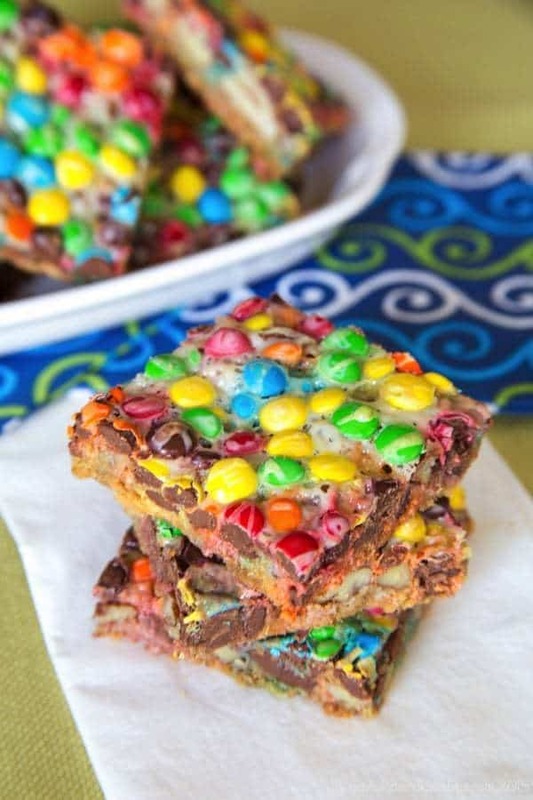 Sprinkle the pecans and M&M's evenly over the sweetened condensed milk layer, then drizzle with the remaining sweetened condensed milk. Cool completely, then remove the bars from the pan using the edges of the foil, and cut into bars. Love these! 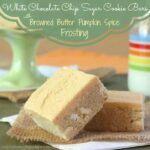 What a great story and a perfect recipe! YUM! 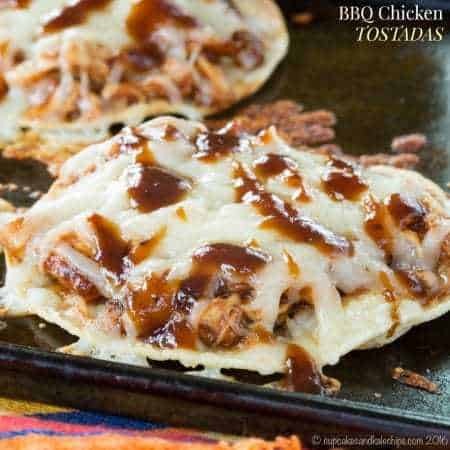 Ooohhhh you are killing my diet here Brianne LOL these look soooooo good! Hahaha, sorry! 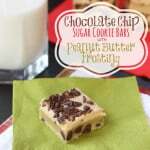 That’s why sometimes I make sweets that aren’t gluten free, because then I can’t eat them! Even though I adore the traditional coconut laden magic cookie bars, yours look just as tempting PLUS the family would actually eat them!! THOSE LOOK INCREDIBLE!! I’m not sure there’s much else to say! It appears that awesome Mom raised an awesome daughter. I am sure that she loved these. I loved Cynthia’s comment, except in my case, that would be me… I am sharing this with my soccer mom friends. I think it looks perfect for after a rousing soccer practice, too! Jumping out of the pool? I’d never make it to the pool if these were around.